When it comes to renovating the kitchen, there are particular challenges that come along with it. Renowned B.E. 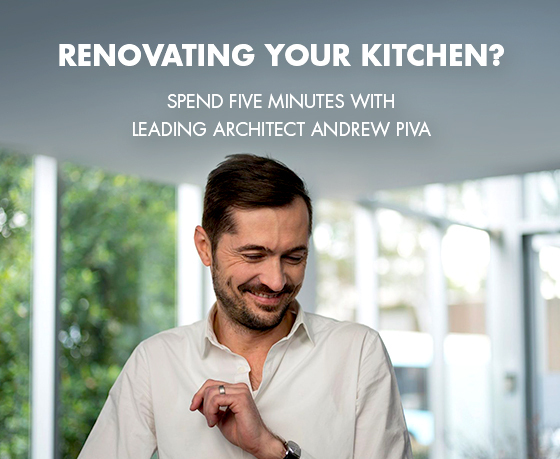 Architecture director, Andrew Piva, shares some sage advice that could save you time and money. Reviewing the existing layout is the best way to start. Nine out of ten times, there will be a better layout that can be introduced, which will achieve a better connection to other rooms and outdoor areas in the home. When in the kitchen, the space should feel effortless. Better flow may be achieved by moving the island so there’s a clear path through the room. Even just moving an appliance cabinet to a different area of the kitchen may help. Whether it’s a big or small change, there is usually a way to improve the flow and layout of your kitchen. If a kitchen is poorly planned, and the elements are piece-by-piece rather than a unit, you’ll notice it in the final outcome. How do you make a kitchen both beautiful and functional? You need to think of the space as an area not just to cook in, but also to entertain in. As much as it needs to be highly functional, you also want it to feel stylish and welcoming. 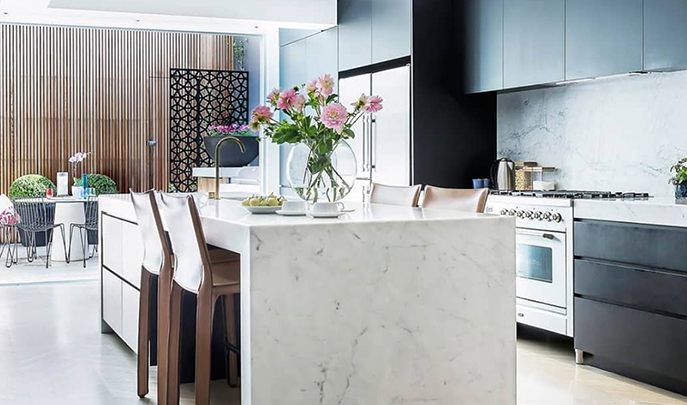 Whether you’re a family or a couple, the benchtop is one of the most used assets in anyone’s kitchen. 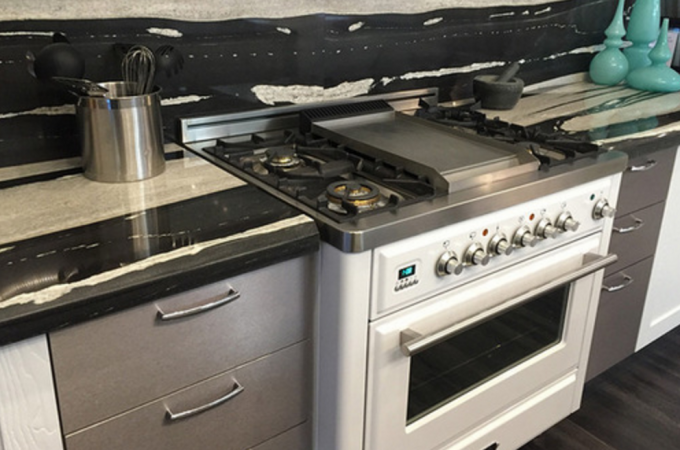 By investing in a quality benchtop now, you will save yourself money in the future by not having to replace it. 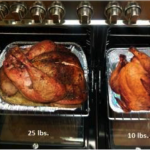 Save money for the appliances as they are an integral part of any kitchen. 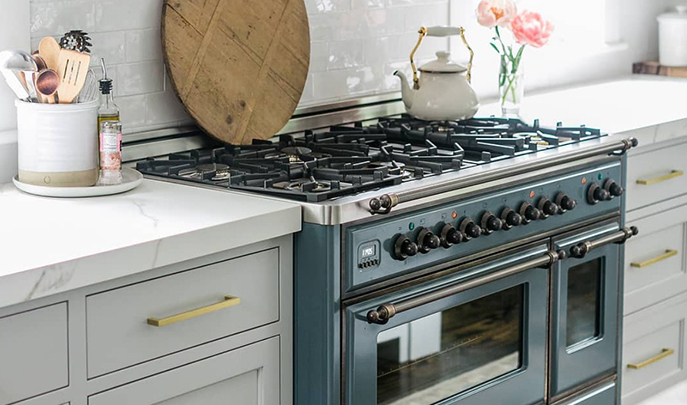 Investing in quality pieces from brands like ILVE who have a rich history in handcrafting appliances, will ensure that your kitchen will stand the test of time. How do I stay on budget and on time? 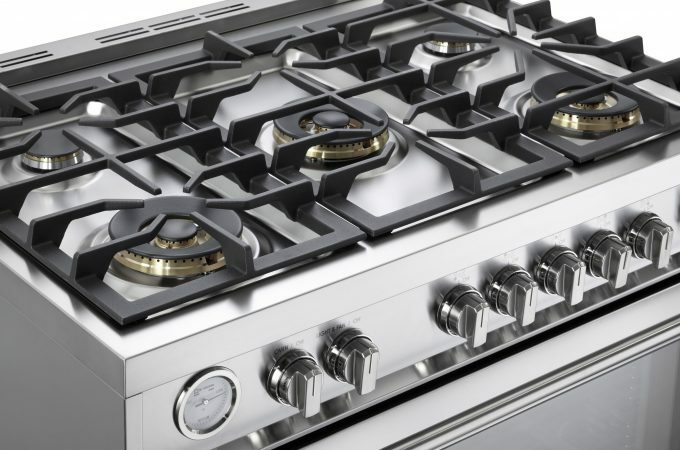 One of the most common mistakes when planning a kitchen renovation is underestimating the lead time when ordering new appliances. Appliances should also be ordered first. 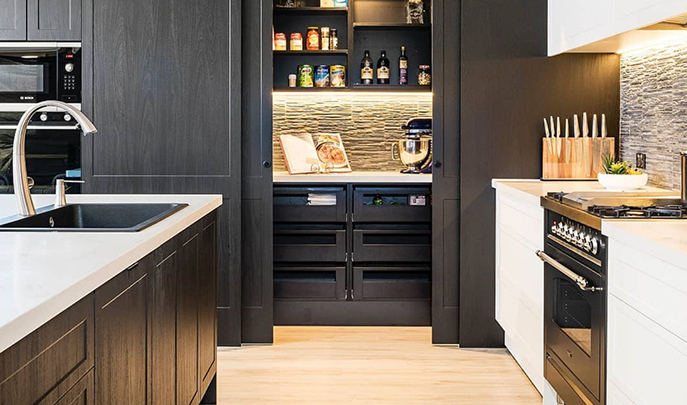 Depending on what you are want, they can take anywhere from one to two months to come into stock, which could leave you at the end of your reno without properly fitted appliances. Finally, tradesmen are an aspect people often forget about, but getting the right trades people to do your renovation can really make your life a lot easier. Hiring an electrician and plumber that will do a quality job will save you from any technical errors, as power points or pipes in the wrong place can potentially add unnecessary costs onto your reno if they need to be redone. This is also the case with joiners and stonemasons. The right contractor who can work to fine tolerances and is experienced in installation can really make sure the final outcome looks professional. To read more of Andrew Piva’s advice, visit the links: Article 1, Article 2, Article 3. Image credit: Image 1, Image 2, Image 3, Image 4.